"Including 3 real estate propeties"
"4 restaurant bar with in oparation"
"Top Location in Zona colonial"
"huge house with hotel boutique potential"
"Excellent location for a hotel or restaurant"
"Modern history property in Zona Colonial"
"It was a restaurant before"
"rate from US$79 to US$126"
"Walking to el Conde and all best monument in Zona Colonial"
"High income with a R.O.I of 10.03"
"Ocean view and river view renoveted apartment "
"primium and central lacated Zona Colonia"
"best area in Zona Colonial"
"lower price than construction company"
"Excellent river and ocean view"
The Ciudad Colonial is now the major touristic attraction of Santo Domingo, even though the main sites of governmental and commercial activity are now in other parts of the city. The central public space of the district is Parque Colon, a square that borders the 16th-century Cathedral and has a late-19th-century bronze statue of Christopher Columbus in its center. East of Parque Colón, the cobblestone Calle Las Damas is the New World's oldest paved street, dating from 1502. The street is bordered by many of the zone's more prominent landmarks, including Fortaleza Ozama, the site of major events in Dominican history; Casa de Bastidas, which now houses a children's museum; the French Embassy, in a building said to have been the house of Hernán Cortés; the Casa de Ovando, said to be the former residence of Governor Nicolás de Ovando and now a luxury hotel; the National Pantheon of the Dominican Republic; and the Museo de las Casas Reales, in the former governors' palace and Audiencia building. Calle del Conde is a pedestrian-only street that includes several notable commercial buildings of the early 20th century and connects Parque Colon with the Puerta del Conde and Parque Independencia. 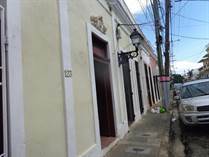 Another traditional commercial district is the portion of Avenida Duarte just north of the Zona Colonial, which is currently undergoing a renovation plan that aims to make the area more appealing to tourists. On the north end of Calle Las Damas, the restored and expanded Plaza de España is bordered by Las Atarazanas (former naval yard, now a museum) and a number of small shops and restaurants. This area was one of the first commercial centers in the Americas, and is still a hub of activity today. The Alcázar de Colón, having once been the colonial palace of the Columbus family—beginning with his son Diego—is now a museum displaying period furniture and decorations. The building was originally built in 1510, and restored to its current appearance in 1952. A 700 million US dollar investment was made in the Port of the Ozama river adjacent to the Ciudad Colonial aiming to turn Santo Domingo into a port of call for luxury cruise ships and including a privately owned marina. The project is being completed by Sans Soucí Ports S.A. It is hoped that this ambitious project will boost the attraction of the Ciudad Colonial and the rest of Santo Domingo to international tourists. Offering rooms, studios, comfort suites and apartments in a pleasant family atmosphere. With it's own parking facilities, laundry service and small cafeteria it is a good choice as for tourists as for business travelers. Each room has cable TV, telephone, internet connections, safe box, mini-bar, air-conditioning, 24 hours/day electricity and most rooms have equipped kitchens. The Carilux Hotel Europa originally operated from 1930-1965 as a traditional hotel, standing out for the exquisite detail and design of its balconies with the characteristic ironwork of the period. The new owners, have invested RD$100 million in the remodeling, but sought to preserve the original architecture, including the lovely floor work, considered to be the heritage of colonial architecture. The new, 52-room hotel blends the wonders of the old with the convenience of the new. A new addition to the hotels in Colonial Zone this apart hotel has much to offer and it is only steps away from the Conde. All rooms are come with a refrigerator, hot water, air conditioning and a sitting area. Some of the rooms have a complete kitchen. this hotel offers great rates and also monthly rates for long stays. The staff is friendly and helpful. this budget hotel is located centrally in Colonial Zone. They have different rooms for different guests needs offering a common kitchen for all guests usage. There is a comfortable roof top deck for relaxing. 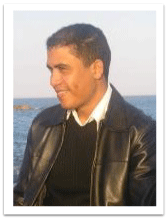 They are very helpful and will do all they can to make your stay with them enjoyable. 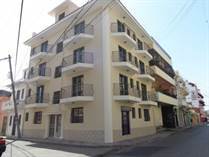 They have 16 fully-furnished apart studios offering convenience, security, value and a superb location. Prepare your own meals in the fully furnished kitchen, enjoy the balcony and entertain friends. They offer very reasonable daily, weekly and monthly rates. Each room has air conditioning, cable tv and other amenities. This hotel is great for a short or long stay in Dominican Republic. They have prices for both. They have what they call Junior Apartments that are fully furnished, including a kitchenette, Cable TV, Ceiling fans, daily maid service, with back up power in each apartment (which, if you know the country, this can be a real plus). They also have 24 hour security and DSL/Wi-Fi. English spoken here. "A luxury hide-away" This small and intimate hotel offers a beautiful balance of comfort, luxury, and style. All the guest rooms have air conditioning and are individually decorated. They even have Egyptian cotton towels and down pillows to make your stay more luxurious. in the lobby is inviting along with the sound of classical music. They serve breakfast and have a bar. They offer rooms at a reasonable rate of $35USD a night (as of 2/08). you can rent daily of monthly. All the rooms have air conditioning, cable tv, and a refrigerator. there is also a nice terrace you can enjoy. The owners speak French, Italian and Spanish. This boutique hotels 54 rooms and suites feature Air-Conditioning, Telephone, Cable TV, Iron with Ironing Board, Mini Bar equipped with national alcoholic beverages, Safety Deposit Box, and Private Bathroom. They offer many different size rooms to accommodate your needs. There is a sun deck with a great view of the Colonial Zone. Also on site is a Bar and Restaurant. Looking for a place to stay in Colonial Zone near to all the action and don't want to pay extravagant prices? Try this place out. They have nice comfortable rooms at reasonable prices for long or short term. Each room has a refrigerator, fan or air conditioning, cable tv, hot water with all rooms facing a great Spanish style patio where you can sit and relax. "Stay with us while enjoying a family atmosphere." This is a family owned and operated hotel priced right. Each or the 10 rooms has air conditioning, cable TV, hot water, a telephone and mini bar. It is located just a few blocks from Calle el Conde. They are happy to help the traveler with whatever information they can about the area and some of the staff/ family speak English. Families are always welcome. This 6 room hotel, in a building that is dated from 1860's. The building is beautifully restored. Each room has Cable TV, a ceiling fan, and a balcony. There is a Jacuzzi in a small garden where they also serve breakfast that is included. The roof top view is spectacular with a panoramic view of Colonial Zone. The hotel is across from Plaza de España and close to all the Zone has to offer. This is a small hotel located across from Colon Park and the Cathedral on Conde Street. 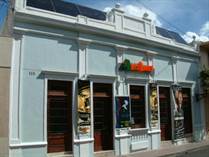 It is located in a historic building in the heart of the Colonial Zone. The rooms are small but quaint. Many of the rooms have a balcony overlooking the park with a beautiful view. Everything you want to see in Colonial Zone is within walking distance. There also is a nice little café on the first floor. Great for people watching with a nice cold beer. 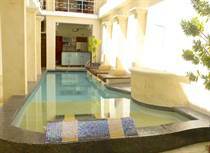 This hotel is a renovated grand house dating from the 16th century it has old world charm and modern comfort. When you see it from the street it looks like nothing but when the door opens into the lobby you will be amazed what lies inside. The lobby is beautiful and there is also a pool and jacuzzi. There is a garden and kitchen for the guests to use as they wish. This hotel is located on a quiet street in the Colonial Zone. The hotel is owned and run by Marc and his wife Elvira, a Belgian-American couple. Wifi available. This hotel is a 10-room bed and breakfast hotel offering elegance and comfort in an Art Deco style. Each room is individually decorated and is unique. From the complimentary breakfast to cocktails on the sun deck, Casa New Yorker is the new address for casual elegance in Santo Domingo. The staff is very friendly and helpful, ask them about where to go and what to see and they will be happy to help. This hotel is great for a short term or extended stay. This small budget hotel offerers safe and clean rooms for the budget traveler. The rooms are no frills and basic but are quite comfortable. They have a nice common balcony for people watching and relaxing. The staff is very friendly and helpful. They can provide you with transportation to and from the airport at reasonable prices. A very basic hotel yet comfortable. It is a bit worn and dated but it is clean, the location is wonderful, and the price is right. Located across from a nice park good for sitting and relaxing. It can be a bit hectic if you are looking for a quite oasis. One of the newest hotels in the Colonial Zone just opened February 2008. The location is perfect, directly on Calle el Conde in the center of all the action. The rooms are medium priced and very clean. Each of the 25 rooms have a double bed with cable television, air conditioning, hot water and 24 hour electric. The owners and staff are very friendly and welcoming and will make you feel right at home. There is a small balcony off the office where you can watch the people passing by below in the Conde street. This hotel has been open a very short time, but you can see from the photos that it is really beautiful. Another former mansion that was just completely and lovingly restored. The rooms are a bit on the small side, but nicely-done. The prices are $65 per night and include breakfast. This new hostel in Colonial Zone has 3 floors and 15 rooms with air, cable TV, hot water, and a small refrigerator. They have a lobby and balcony that overlooks Calle Isabel la Catolica. The hostel is not even a block away from Calle el Conde and Parque Colon and it is very close to some great restaurants and the sights of Colonial Zone. WiFi available. This small hotel consists of 4 luxury studios and 8 suites. It is situated in the center of Colonial Zone near the best restaurants, clubs and bars of Santo Domingo's night life. 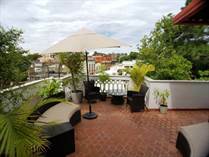 There is a terrace with an outstanding panoramic view of Zona Colonial. 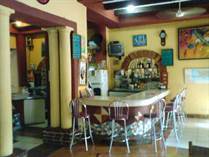 This charming hotel is located centrally on Calle El Conde in Colonial Zone. With its great loaction everything in the Zone is easily accessable. There are 96 rooms. One of the best things about this hotel, other than the location is the great patio that sits directly on El Conde. Sitting here and watching the people and activities in Colonial Zone can be quite entertaning. They have an on site restaurant.If you bring your children with you and need a little break they have on site baby sitting. Pets are permitted and they have room service also. Their staff is mulit-lingual to better make their guests feel right at home. There is WIFI internet access so you can be on your computer when needed. 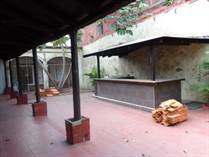 The on site bar/restaurant El Colonial where one can eat indoors in their airconditioned dining room or sit on their terrace in the open air. This small and quaint youth hostel with shared living space is a great place to stay when you want something inexpensive and unique. Run by Betty Marshall, a lady who is very friendly and will give you much information about the country. The colonial building is filled with unique art for sale. This building is an example of 18th century Spanish architecture with a beautiful enclosed patio with a fountain inside. This quaint hotel is a little oasis and just around the corner from the most beautiful monuments on the Colonial Zone. This hotel is listed as a World Heritage Site by UNESCO. There are only 19 rooms all with the amenities that you woyld want, air, babysitting, outdoor enclosed parking, WIFI available and much more. The staff is multi-lingual and very helpful. Also on the premisis is a restaurant and bar. El Patio serves French cuisine that can be served either in the courtyard or inside at the restaurant and bar (or room service if you perfer). The bar has music entertainment on most nights. This enchanting hotel was built in 1502 and is listed as a heritage site by UNESCO. Sofitel Nicolas de Ovando is located in the heart of the colonial city of Santo Domingo on the oldest street in the country, Calle las Damas. The central building was the original residence of Nicolas de Ovando, the first governor in the Americas. Now this house blends historical elegance and contemporary style. This 104 room luxury hotel offers baby sitting service, valet parking, WIFI internet access, 24 hour room service, multi-lingual employees, a poo, restaurant and bars. This hotel is truly an oasis in the city with a beautiful view included.